It has been an amazing time going from a small Queensland business to what is now a company with a global network that makes us greater than the sum of our parts – Avantix. I want to thank everyone who has been on this journey with us. Some of you for years and some newly onboard. Change in our industry is being driven by our customer’s desire for innovation and process improvement. The need is for information to be readily accessible and fully integrated into core systems. I am proud of the evolution our industry and our organisation has experienced over the last 15 years. Many of our clients are making significant investments in Business Intelligence tools, ERP systems, ECM software and Practice Management packages. Consequently, we have been able to help maximise the return for our customers on these initiatives. Over the years our clients have asked for increasingly more sophisticated solutions to their problems. What started out as scanning onto CD’s and removable hard drives, became the need to search for and view images using either structured fields in a database or whole of document content searches. Next was investigating ways that images and data can be used to bring further controls, efficiencies and targeted reporting to operations. This led to cloud based solutions for document types like POD’s, Accounts Payable Invoices, Sales Orders, Membership Forms, HR and more. This is where the fun began – automation solutions. Finally we were able to bring further joy to our clients by developing automated workflows, validation and exception handling by using business rules that greatly reduce the stress and pain around high volume processing. The peace of mind and time savings gained by our customers is born out of knowing that the previously messy data created from a wide variety of sources (both paper and digital) are automatically cleansed and vetted. All done behind the scenes in a way of their choosing and without disruption to their core duties, before it being ingested into their systems. Suffice to say, this process taught us a great deal. Being thrown into the world of time and business critical applications that hundreds of people were counting on, in order to perform their duties, really opened us up to what is needed to perform. This feeling of responsibility has helped shape us into what we are today. 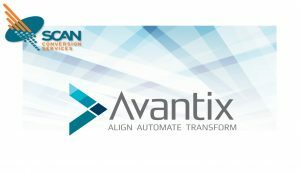 The Avantix vision is to bring that collective knowledge to greater effect at solving your information processing problems and challenges. If you are not aware of our enhanced software and service offerings, we are more than happy to share over a coffee and a chat with you.